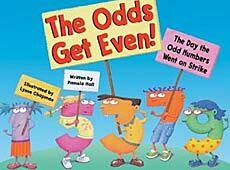 Below are the best math picture books to use when teaching place value, odd and even, skip counting, ordinal numbers, and more. 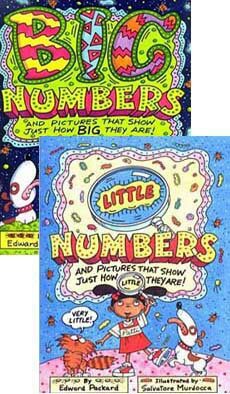 If you are teaching place value lesson plans, odd and even numbers, skip counting, ordinal numbers, and other basic number sense concepts, the following math picture books can be a great way to launch into the lesson and can help your visual and verbal learners better understand. This is a catch-all page, with math picture books on topics for which we do not yet have enough books to create dedicated pages. 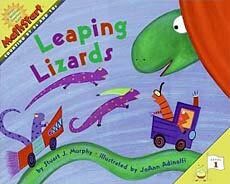 For example, we'd love to list more math picture books to use when teaching place value lesson plans, but we simply haven't been able to find more. We'll keep looking. Know of any? 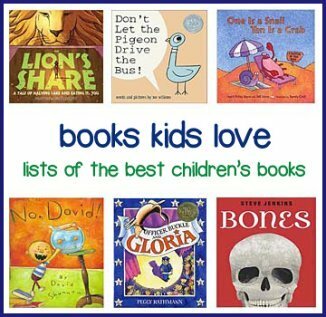 Some of the books below have lesson or activity ideas. Just click the link by each book and you'll be connected to the book summary page describing the lessons and providing a link. The family is planning a royal celebration for King Arthur's birthday, but they are having a hard time determining how to organize all the guest. After several failed attempts, they realize the value of grouping by tens, hundreds, and thousands, and the result is a fantastic celebration enjoyed by all. Truthfully, this isn't our favorite in the series, but it can be helpful for place value lesson plans. The 'Save the Planet Club' wants to buy flowers for the local park, so they hold a can drive. Keeping track of the daily totals is hard until they start sorting the cans in bags of 10, 100... A section at the end includes extension activities. A series of short fables told in rhyme and ending with a moral. Each spread focuses on a different number and features vivid computer generated illustrations. 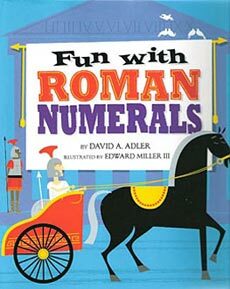 This book is not specifically about place value. 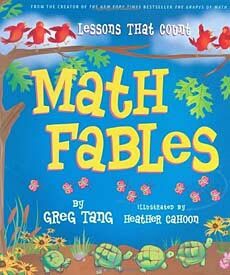 Rather, author Greg Tang said this book aims to lay the foundation for place value" and as a "first step to building strong computational skills." One Odd Day: One day a boy wakes up to find that everything in his life is odd, from the number of sleeves on his shirt to his five legged dog. 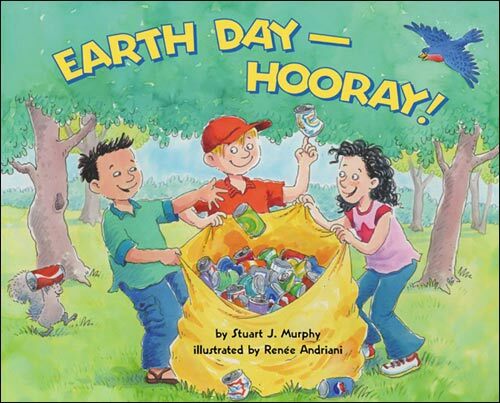 Vibrant, detailed spreads and energetic, rhyming text make this a great book for read alouds, but students will enjoy finding all the many odd items. 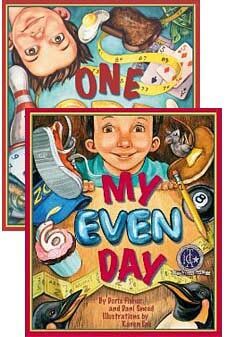 My Even Day: In this follow-up book, the boy now awakens to find everything is even. This makes for a strange but funny school field trip to the zoo, with illustrations that will have kids pouring over pages looking for hidden even objects. Watch the pandemonium that ensues when the odd numbers at a grocery store decide to go on strike! Through the resulting chaos, kids learn the difference between odd and even numbers. This is a pop-up book, full of pull tables and clever paper engineering that adds greatly to the fun. How could this even happen? 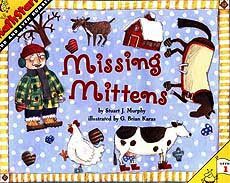 Every chicken, cow and horse on Farmer Bill's farm has lost a mitten! Help Farmer Bill find the culprit and in the process, learn about odd and even numbers. Charts are used to help reinforce odd and even numbers, and an end section includes extension activities. 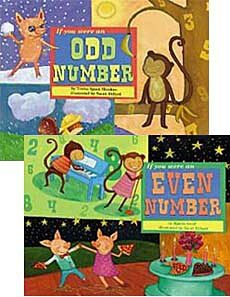 These two books in the If You Were series feature adorable illustrations and bouncy, clear text about odd and even numbers. In If You Were an Even Number, even numbers are defined, shown on a number line, and then presented in different scenarios--sporting activities, animal feet, branches on a tree, etc. If You Were an Odd Number follows the same format, with a number line and different scenarios with odd numbers. 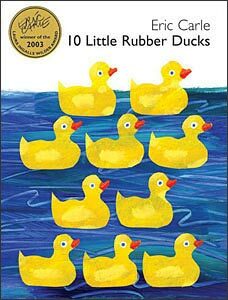 A young boy has his hands full caring for five ducks, so when each duck brings a friend home, chaos ensues. 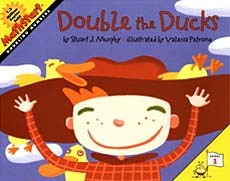 This is a simple but effective book for teaching skip counting and doubling. 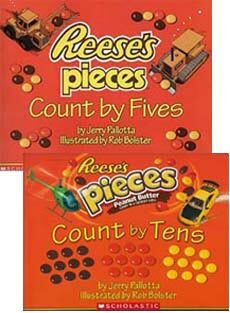 In our experience, teachers either really like these candy-themed math books or think they have no place in the classroom. We think they can be effective in moderation. We aren't saying every lesson should have a candy component :), but we've seen how students are really engaged in lessons built around these candy math books. If you are of the group that likes these books, these two (like the others) can easily be turned into a skip counting lesson plan. The show's about to start, but where are all the lizards? The show calls for 50 lizards and the Director only sees five! Then, by 5s and 10s, they arrive on scene, with each new group added to a chart. Fun for teaching skip counting. 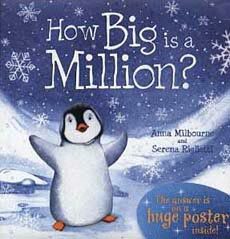 A cute picture book about a curious penguin eager to see what a million of something looks. He sees his mother has caught 10 fish, then finds 100 penguins huddled together, then he sees 1,000 snowflakes. Just as he's ready to quit, his mother tells him to look up into the sky, where he sees a million stars--depicted on a large poster tucked into a pocket in the back of the book. 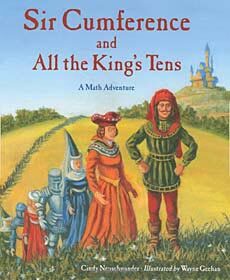 A popular book for teaching very large numbers--full of examples that kids will relate to, maybe even want to try out...that is until they see what it would entail! (ie: counting to 1 million.) 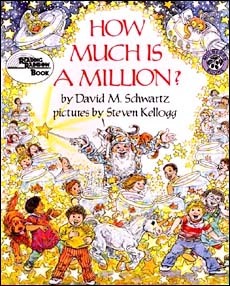 Schwartz uses a series of examples to demonstrate how big a million is, then a billion, then a trillion. Examples are paired with Kellogg's bright illustrations. 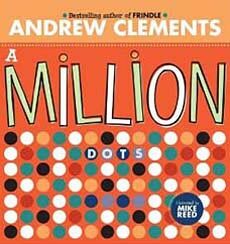 Very large numbers are hard to comprehend, but this book tackles the topic with great success using kid-friendly examples (ie: number of minutes from one birthday to the next) and eye-catching, funny digital artwork--each incorporating tiny dots across the book's 19 double-page spreads. A unique approach to teaching numbers smaller than one using a shrinking dinosaur--from its original 130 ft long to a trillionth its size. ("Shrunk to a hundred-thousandth of its size, it's as small as the dot at the end of this sentence.") Cartoon illustrations add humor and clarify the examples.